Tens of thousands of amateur and professional photographers are set to converge on Birmingham for Focus on Imaging, the UK’s largest consumer photographic show, which opens on Sunday. 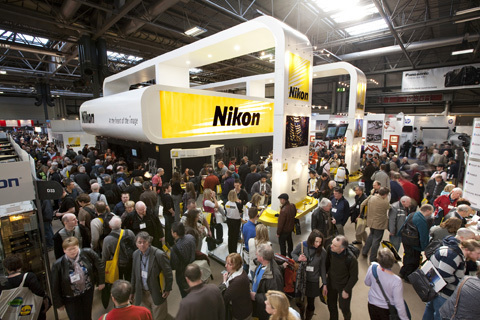 Camera, lens and accessory makers will rub shoulders with software companies and photo dealers at the event which runs at the Birmingham NEC from 6-9 March. Amateur Photographer (AP) staff will also be out in force. Visitors to Stand B43 will be able to pick up a goody bag (priced £2) that will include the latest issues of Amateur Photographer and What Digital Camera. They will also have the chance to meet AP Editor Damien Demolder who will be performing one-to-one portfolio reviews between noon and 2pm, Sunday to Tuesday. Each portfolio review costs £39 which can be redeemed against any one of AP?s School of Photographic Imaging courses on offer at Focus (so long as the booking is made at Focus on Imaging). Visitors will also be able to take advantage of special offers from PhotoBox. The first 2,000 people visiting the stand will receive a free print enlargement worth £3.25 each, for example. On display will be the top 30 images from the ten rounds of Amateur Photographer of the Year 2010. Plus, there will be daily competitions to win a Canon PowerShot SX130 IS camera as well as a chance to win £300 to spend on www.photobox.co.uk. Among manufacturers making their Focus debut is Samyang Optics, which will be displaying kit such as the 35mm f/1.4 AS UMC lens, due to go on sale in the UK soon. And, ahead of its official UK debut in April, Ilford?s new Ilford Multigrade Art 300 darkroom paper will be available to buy. Meanwhile, staff at CameraWorld will be running a service for people who want to sell second-hand gear. ?It?s a good opportunity for people to get their cameras out of the attic and make some money,? said CameraWorld?s Tony Stent, who explained that visitors will be able to showcase second-hand gear on its stand (CameraWorld says it will charge 20% commission on any items sold). In a shock move, last week camera giant Canon pulled out of Focus less than a fortnight before the event was due to start. Meanwhile, Pentax confirmed that it will return to Focus on Imaging for the first time in six years. Focus takes place in Halls 9 and 10 of the NEC and is open from 10am-6pm every day, except Wednesday 9 March when the show closes at 5pm. Entry costs £10 on the door, or £8 for those who pre-pay online. For details visit www.focus-on-imaging.co.uk. Last year?s show attracted more than 37,000 visitors.